I've just returned, tired and satisfied, from a weekend of exhibitions in London. The first one I caught was Star Wars Identities at the O2. 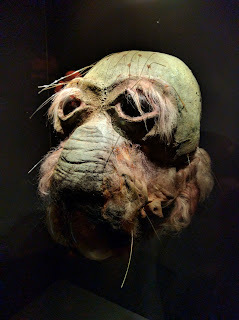 It started off badly but eventually won me over with its amazing collection of original props, models and costumes. As I get older I've come to realise I'm now fairly grumpy and dislike being told what to do. The trend of exhibitions wanting to 'take you on a jouney' just irritates me. When you add in dodgey audio guides, they make me feel like I'm locked to an on-rails shooter that won't allow my head to turn. After way too much waiting, poor crowd control and some unhelpful staff, off came the audio guide and I headed for the fun stuff, resolutely ignoring the rather strange meta-narrative of the show. This 'story' behind the exhibition panders to a culture obsessed with social media. The curators clearly thought that the viewer needs to be at the centre of everything. Hence the tour is broken up by way stations where you get to make choices and learn about how identity is constructed. While I found this distracting, baffling, and creepy (coming from the multi-billion dollar corporation that is Disney), folk seemed to enjoy it so I shouldn't be too harsh on the creators. I was there for the props and costumes, and - oh boy - was I not disappointed. 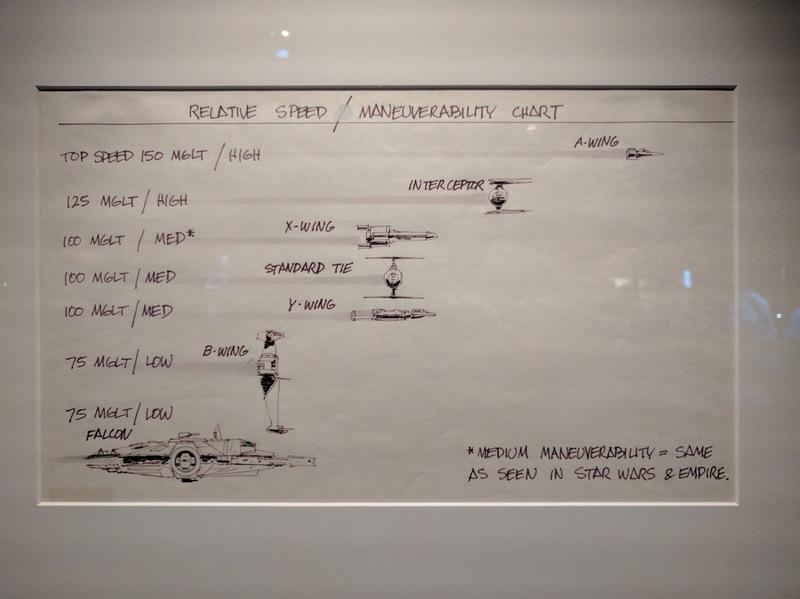 There are originals from throughout the canon including a load from the pre-production of A New Hope. Here are some of my favourites, which included the more obscure stuff. The original Ponda Baba mask from the Canteena. This thing is nearly 40 years old and I was surprised at how well the latex has lasted. A Sandperson. The attention to detail on this costume was quite stunning and at odds with many of the New Hope costumes. He also had his gaffie stick, which was a solid affair made of metal. The show's lighting was pretty awesome and in the last room the engineers really went to town with the Death Star-style neon tubing. There was only one 'fail' where a case containing lots of star ship models wasn't working, so the things annoyingly remained in the dark. I had seen reproductions of this Ralf McQuarrie painting many times before. 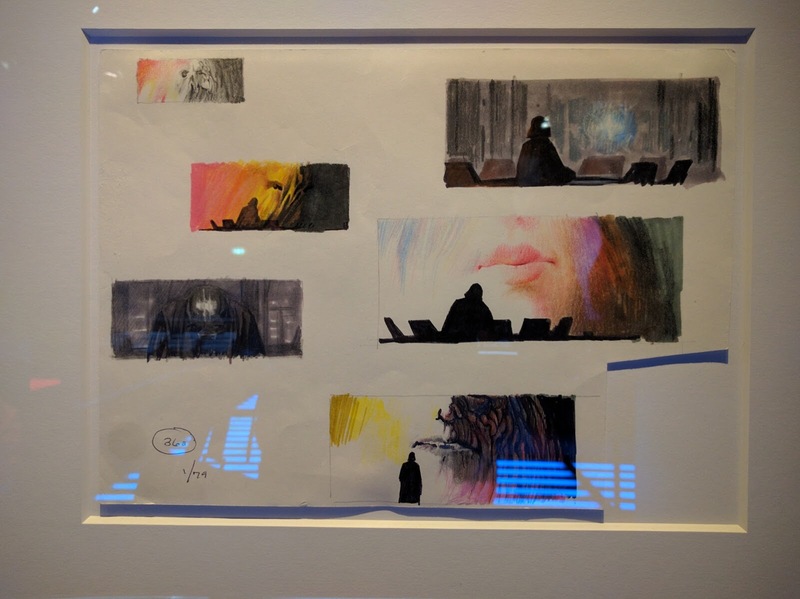 What I didn't know was this it actually dated from a brief period when Lucas was thinking of making Luke a girl - hence 'his' lithe silhouette in this drawing. One of Jabba's eyes. The detail on this thing is stunning. 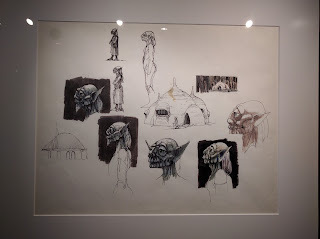 Concepts for Yoda (then called 'Minch') and his house. 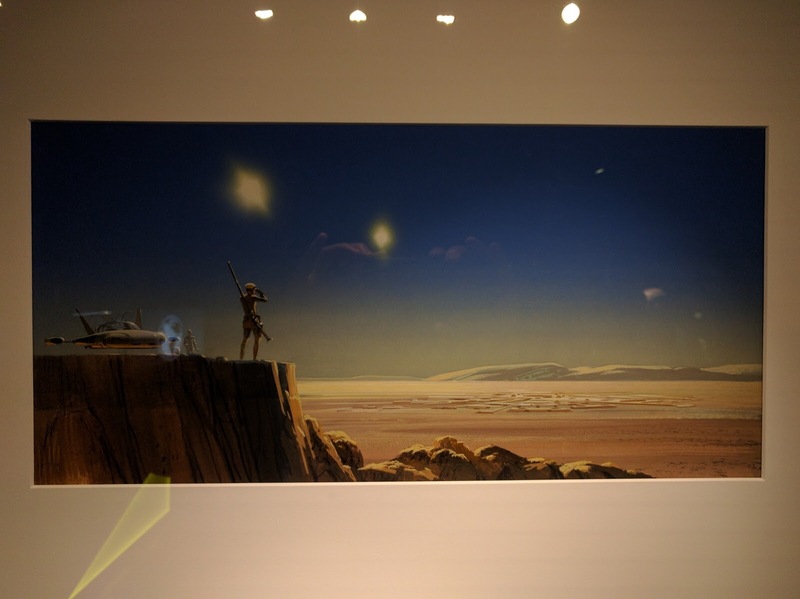 Many of the hut drawings reminded me of the work of Roger Dean, with a 70s vibe to the silhouettes. 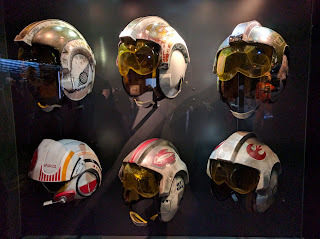 I spent ages looking at these helmets. 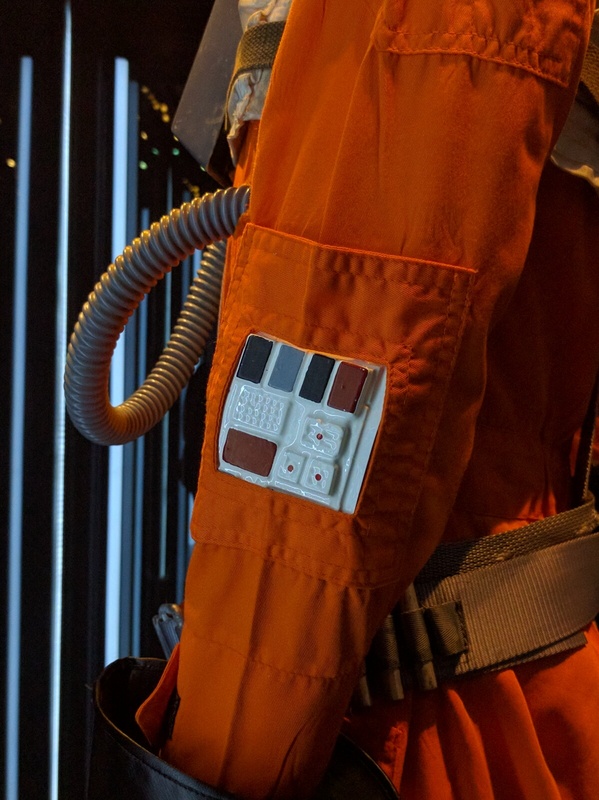 The prop makers seem to have made the insignia in a variety of ways - some were stencilled on, others were hand painted but many of the small icons seem to be self adhesive stickers which have since peeled a bit. 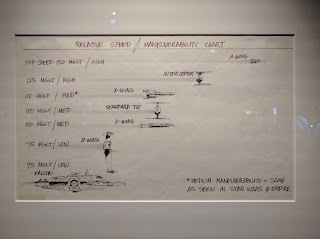 An interesting behind-the-scenes chart made to keep the fx crew on track when it came to ship dynamics. 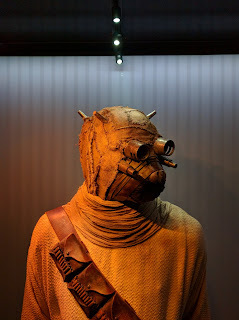 In contrast to the Sandperson costume, it was interesting to see how many parts of the New Hope outfits were pretty basic in their construction. 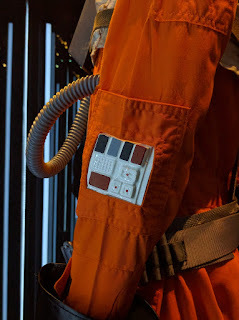 This arm detail from Luke's flight suit is a good example, being roughly painted vac-formed plastic. Boots were another instance. In the 70s costumes existing boots seem to have been used, but by the time of Empire the budget allowed for custom-designed footwear. 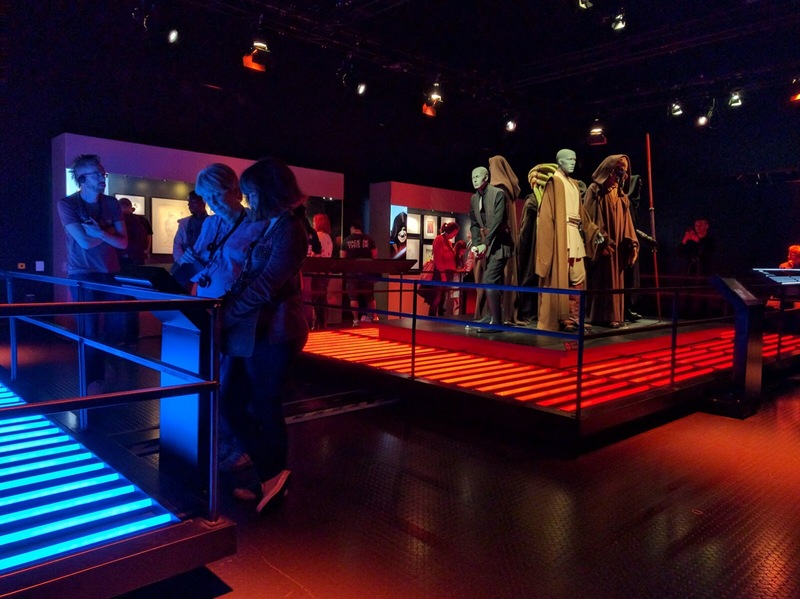 Star Wars Identities doesn't have much longer left to run so get down there by the 3rd of September if you want to see it. If you're a fan of props, costumes or the IP you won't be disappointed. Just be prepared for some annoying waiting before you go in. Rather envious, but appreciate getting to see these pics of the exhibit, thank you. 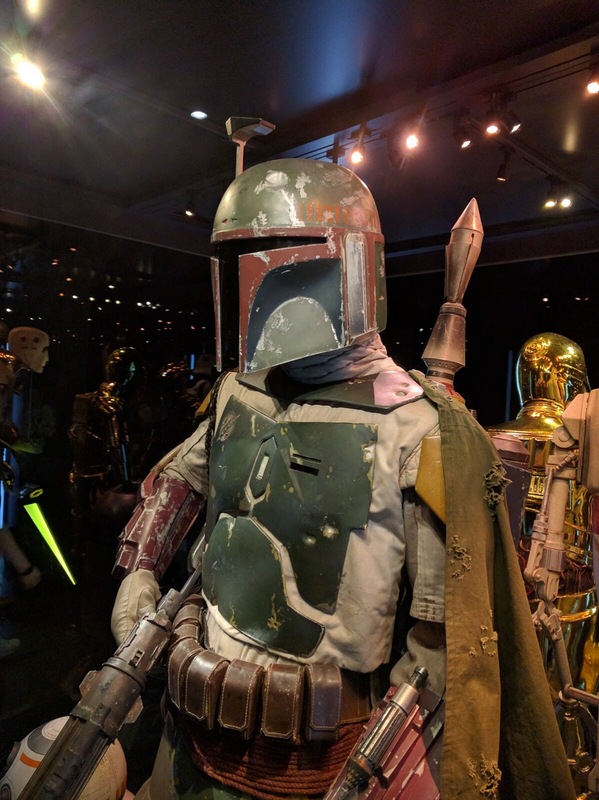 If something like this had been set up near me, my journey in putting together my Biker Scout costume may well have had far more clarity than the often futile internet searches that I had done. Thanks Dai - alas there were no Scouts on show, only a classic Stormtrooper and a First Order trooper. I do like the new Shoretroopers by the way. I too hate crowds and the condescending tone that most exhibits seem to like adopting, but we are indeed old & grumpy. They market for the masses, we aren't their target group. 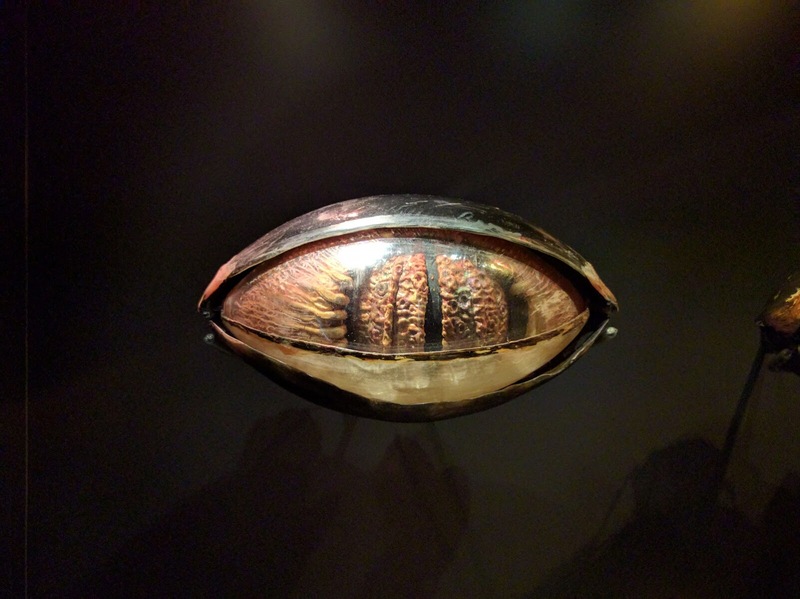 I'm also of the view that the best exhibitions set out a load of stuff and explain clearly what it is. I don't really want to "go on a journey". 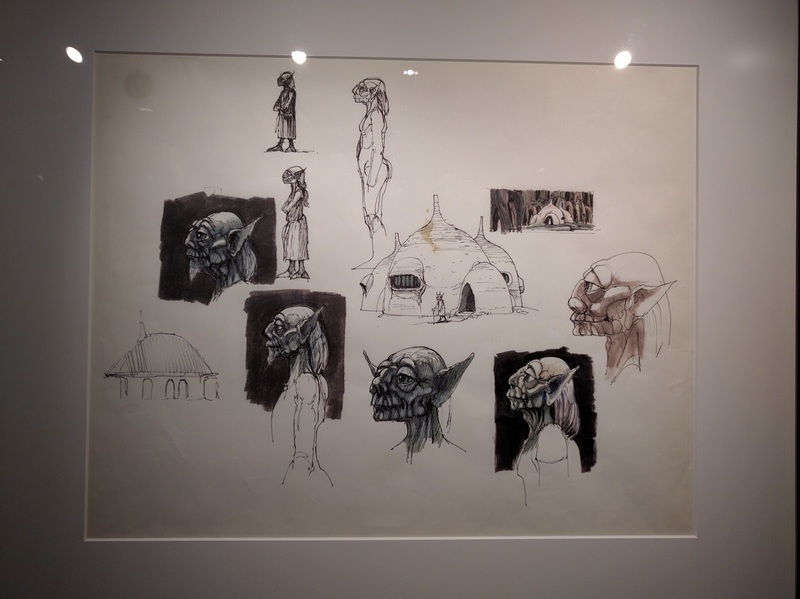 That said, concept art and costumes are always really interesting. I'm always intrigued to see how things were done and to get a look into the mind of the creators. It sounds like a day well spent. Definitely Toby. It was so cool to see all the props so close. You could make out all the brush strokes and pen marks. I was surprised at how small some of the original drawings were! I don't know much about it, but I'm always intrigued by the process by which things go from scribbled drawing to finished process. It's something about going back to the original source that's so interesting. A lot of the models I make come from looking through the Fallout and Inquisitor sketchbooks until I feel inspired.